LIYANA is a genre-defying documentary that tells the story of five children in the Kingdom of Eswatini who turn past trauma into an original fable about a girl named Liyana who embarks on a perilous quest to save her young twin brothers. The film weaves her animated journey together with poetic documentary scenes to create an inspiring tale of perseverance and hope. 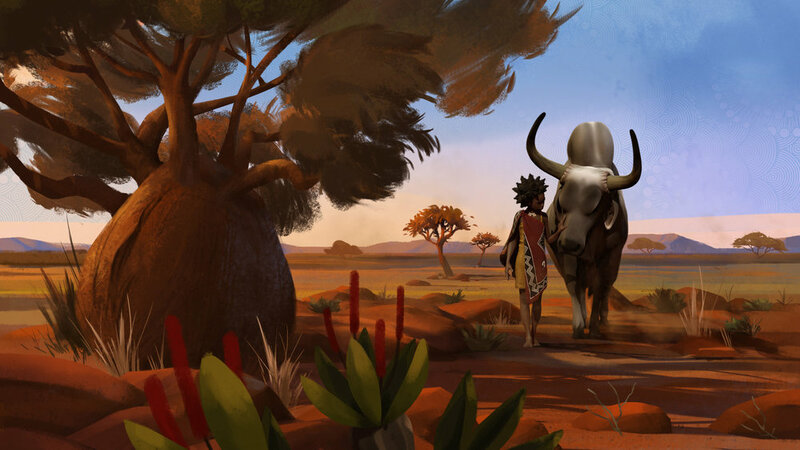 Executive produced by Emmy-winner Thandie Newton, and produced by Oscar-winner Daniel Junge, LIYANA features innovative animated artwork by Shofela Coker and an original score by Philip Miller. Critically acclaimed as exquisite, a staggering feature debut, and one of the year's very best, LIYANA has played at festivals around the world, including the British Film Institute's London Film Festival and MoMA's Doc Fortnight, and has won 35 jury and audience awards so far. The Sunday Times describes Aaron & Amanda Kopp's directorial debut as, part documentary, part animation, and pure magic. "A lyrical work that’s as bright and captivating as it is poignant." "Gorgeous… unlike any documentary you've ever seen." "Brilliant… The world desperately needs to see more stories like this." “This is the kind of film that will leave you smiling through tears. "The standout film for me this year." “A universal tale so richly realized… Truly special and compelling to watch." "Part documentary, part animation, pure magic"